Jessica Pratt has announced her third studio album, Quiet Signs, out on Feb. 8, 2019, via Mexican Summer. With it, Pratt has released the album’s lead single, “This Time Around,” and its Laura-Lynn Petrick-directed video. Quiet Signs, Pratt’s third album, follows 2015’s On Your Own Love Again. 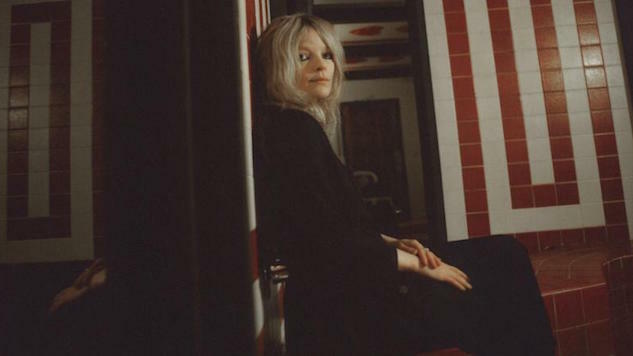 The video for “This Time Around” features hazy clips of Pratt walking along various outdoor backdrops and lounging about an ornate mansion, somewhat cryptically gazing at her own reflection. The single itself principally features Pratt’s melancholic, lonesome vocals as they dance around one single guitar’s simply strummed chords. It’s uncomplicated in construction and just mysterious enough to be perfectly served by the accompanying visual. The album was produced by both Pratt and Al Carson, who, along with Matt McDermott, also performs on the record. Pratt is set to perform a few dates in Europe next month before heading back to the States to support Kurt Vile on his North American tour. Revisit Paste’s 2015 feature on Pratt and check out her new single (and 2013 Daytrotter Session) below. Find her upcoming tour dates further down, along with the Quiet Signs album art and tracklist.